AXION energy is River Plate’s new official sponsor The brand logo will appear on the jersey sleeves of America’s champion. The agreement will last until June 30th, 2020. 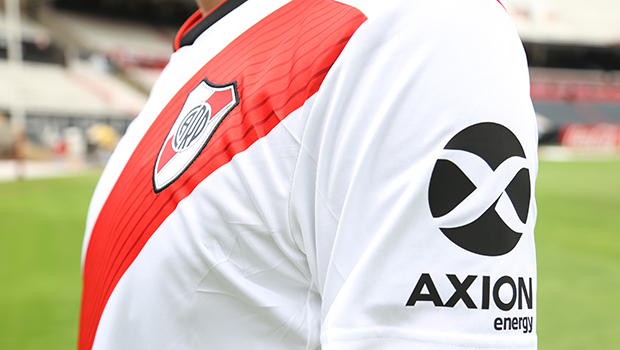 AXION energy, a leading fuel company, and Club Atlético River Plate have signed a one-and-a-half-year sponsorship agreement to print the AXION energy logo on the jersey sleeves of America’s brand-new champion, which will last until June 30th, 2020. The team will wear it for the first time on Tuesday night, for the match against Nacional in Maldonado, Uruguay. It will be the only friendly match they will play before resuming the Superleague.